Are you looking for a delicious oranges recipe with a difference? If you are, you’ve found it! 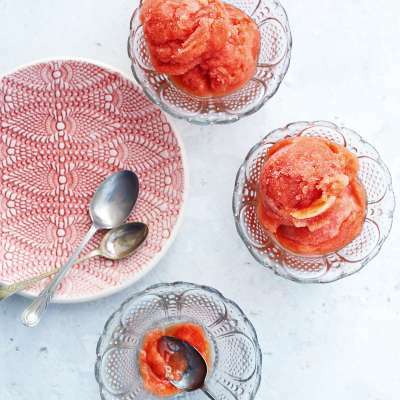 Here’s my aperol and blood orange sorbet for you to enjoy. The Aperol Spritz, sometimes called the Spritz Veneziano, is a refreshing orange cocktail made from Aperol and prosecco. It’s extremely popular across Italy, particularly in Venice, and is fast becoming a drink of choice in Britain, too. So what better way to do it justice than to make it into a beautiful sorbet to enjoy on a hot summer’s day? For an added twist, place a scoop of sorbet into a flute glass and top with chilled prosecco. 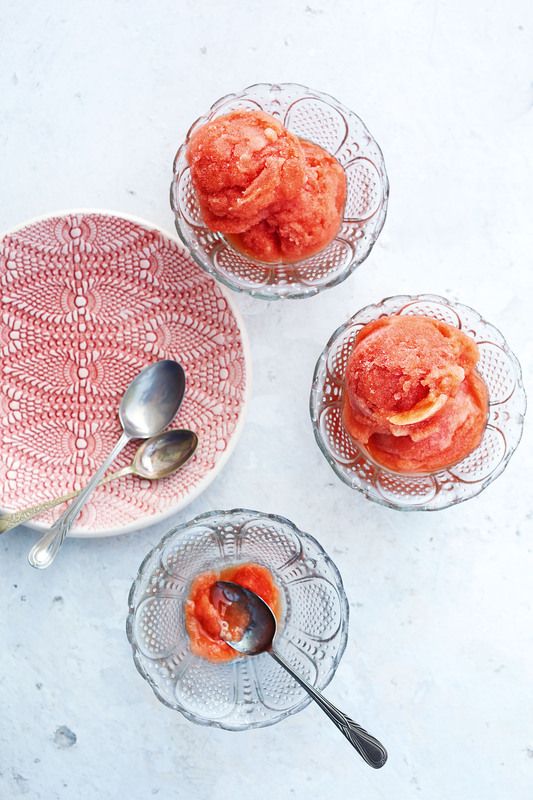 Feast your eyes on the finest aperol and blood orange sorbet! It’s straightforward and fun to make this great dish. Simply follow the instructions below and get the perfect result. Put the sugar and 200ml water in a small saucepan. Heat over a low heat for several minutes until the sugar has dissolved, stirring occasionally. Increase the heat and bring to the boil. Boil for 1–2 minutes then remove from the heat. Leave to cool. Add the orange juice and Aperol and stir. Pour the mixture into a 2-litre shallow, freezerproof container. Cover and freeze for 2–3 hours. Remove the partially frozen sorbet from the freezer and blitz the mixture using a food processor or blender (blitzing will break down the ice crystals). When the sorbet is pale orange and smooth, return to the freezer and leave overnight or until frozen. About 15 minutes before serving, transfer the sorbet to the fridge to soften slightly. 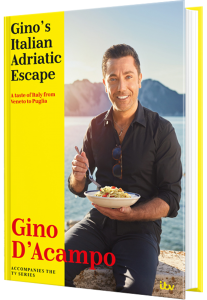 Once you’re done, simply sit back and enjoy your aperol and blood orange sorbet and don’t forget to check out other great authentic Italian recipes including great antipasti recipes, Italian pasta recipes, Italian soup recipes, Italian beef dishes and authentic pizza recipes. Couscous is so easy to prepare, but it does need the addition of some really good flavours to make it come to life. This rainbow salad is a fantastic source of vitamin C and is surprisingly filling. It’s great as a main course or you can reduce the quantities and serve it as a side with barbecued meats or grilled fish. I grew up eating orecchiette, the typical pasta shape of Puglia. The name translates as 'little ears', which is exactly what the shape resembles. Italian grandmothers traditionally make the pasta by hand, shaping it while having a good old chat. The hollow in the little ears perfectly entraps whatever sauce they are served with.